Because sometimes mom doesn't pick up the phone and that's when it's time to turn to these (read: DON'T PANIC). 1. A customizable pillow that'll be *almost* like hugging your favorite fuzzy friend. You can even FaceTime while holding their mini me. Here's how to customize: When you receive a confirmation message of your purchase, you'll send the seller a picture of your muse, aka pet. A proof will be sent to in one to two days, you approve, and then they make this work of art! It's printed on high-quality eco canvas. Plus it's machine washable! Promising review: "I had a pillow made for a very dear friend for Christmas. It looked AWESOME. Suzie made it happen for me. She was great to work with. She looked at my photo first to make sure it would work as a pillow. Get it from Auré Spaces on Etsy for $38.95+. 2. A comforting candle or fragrance oil with home-related scents (i.e. 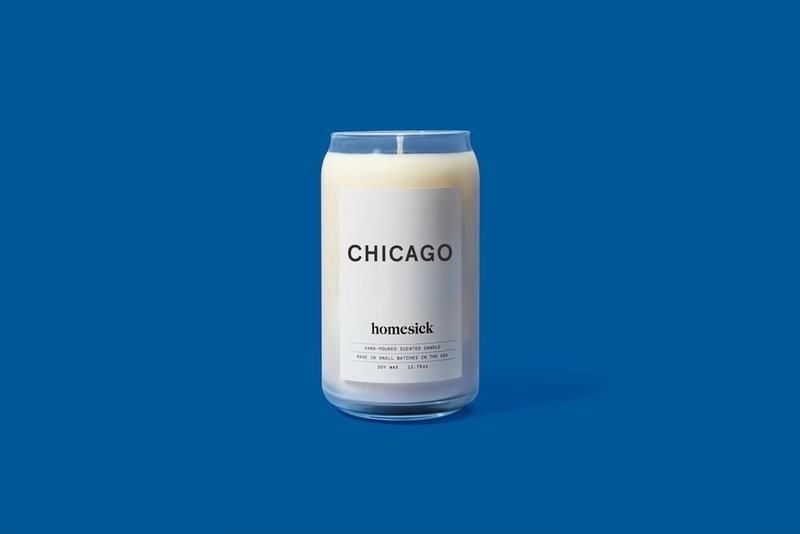 a Chicago candle smells like chocolate and Great Lake air), because it'll be like being back in your hometown, minus the awkward high school run-ins. Can't find your city for a candle? They also have candles for every state and a select number of countries! The all-natural soy wax candles burn for 60–80 hours and are all hand-poured in small batches! Promising review: "Living in Los Angeles, I have often longed for my hometown of Boston. Now, I'm so thankful that whenever I need a little taste, I can just light this candle!" 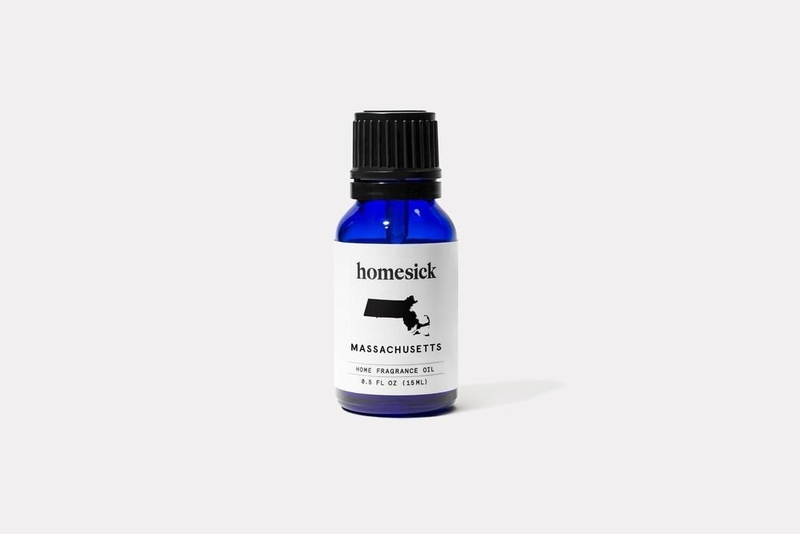 —Renae T.
Get them from Homesick Candles: the city candle for $29.95 (available in 15 cities) and fragrance oil for $9.95 (available in 10 states). The city candles are also available on Amazon for $29.95. Need an essential oil diffuser for your fragrance oil? Get one on Amazon for $16.95. 3. 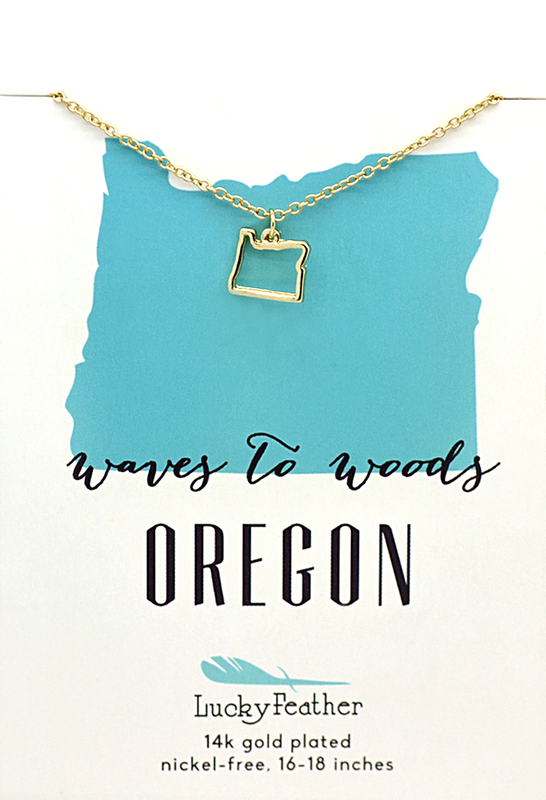 A 14K gold–dipped state necklace so you always have home ~close to your heart~. Mushy? Yes. But do you want it? YES. It comes with an easily adjustable chain from 16"-18"! Get it from Amazon for $12.98 (available in all 50 states). 4. A Groupon to local packages (like restaurant or spa deals) for finding discounted ways to explore your new city. The more you learn, the more you'll feel at home! There are probably hundreds and hundreds of discounted offers in your local areas, like a bike ride around your city, admission to trendy spas, exercise classes, and more! Check out all your local deals here. 5. 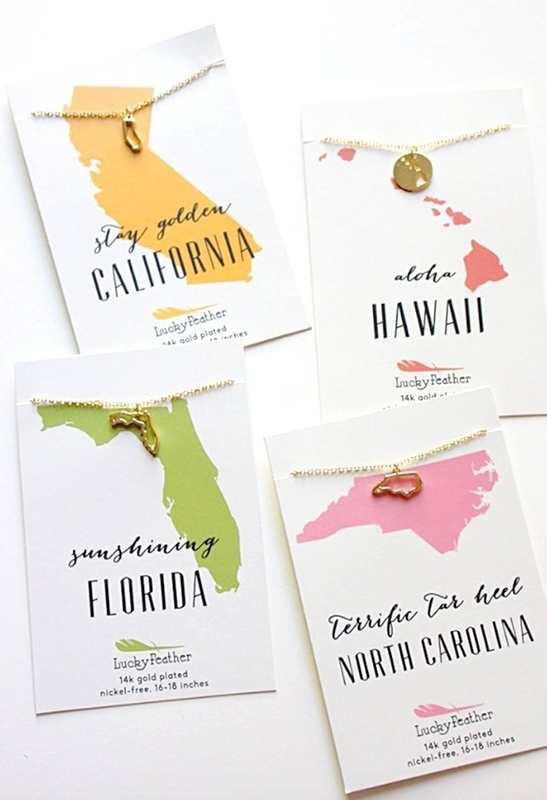 An uplifting care package you can personalize with your home state. I don't think there's a problem on Earth that can't be fixed with a chocolate chip cookie. Just tell the seller which state you'd like to choose! It comes with scented wax candle, handmade chocolate chip cookies, and a ceramic hand-printed mug. Get it from Confetti Gift Company on Etsy for $36. 6. 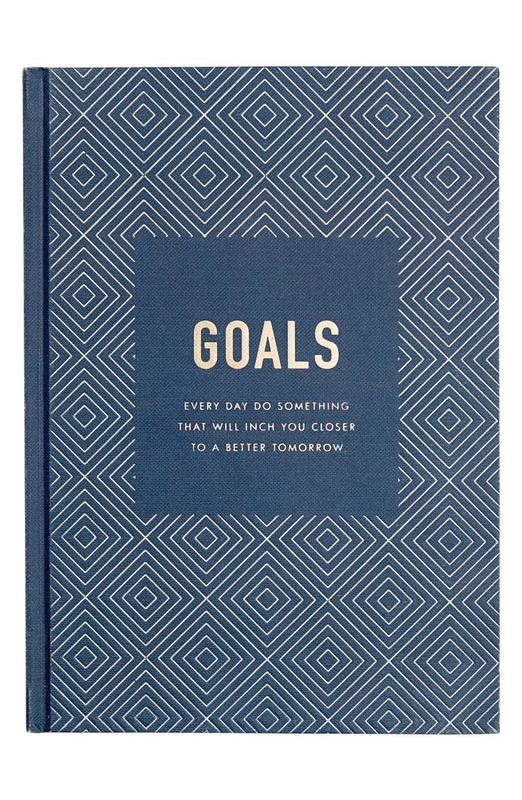 An extensive hardcover journal with inspirational questions and goals so you feel more motivated on a daily basis and remember why the heck you moved in the first place! TO GET THINGS DONE. Get it from Nordstrom for $34.95. 7. A luxuriously plush blanket for whenever you need a big hug, but your mom is rudely thousands of miles away. Don't worry, this won't tell if you cuddle in bed for 10 hours. Plus it's wrinkle and fade resistant, doesn't shed, and is suitable for all seasons. AND it's machine washable! Get it from Amazon for $15.99 (available in four sizes and in ten colors). Just place it under your shower’s running water to release the menthol-and cucumber infused steam and open your sinuses, nourish your skin, soothe your muscles, and improve your mood! Get it from Birchbox for $8. 9. A custom engraved necklace with your home's coordinates that'll help ~mark your territory~ no matter how long you're away. All you need to do is enter your coordinates when placing your order! Get it from Amazon for $18.98 (available in three colors). 10. A roll of floral removable wallpaper so your new digs finally start to *grow* on you, thanks to deceptively easy and stylish decorating. Get each 24"x48" roll from Urban Outfitters for $39. 11. 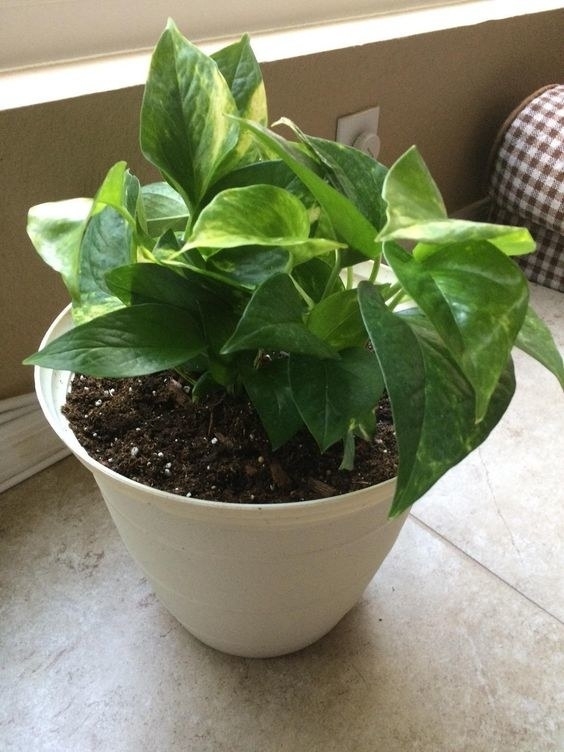 A potted houseplant for a healthy distraction in the form of caring for a living thing. Far less pressure than a dog, but still depends on you nonetheless! And yes, you must name it. 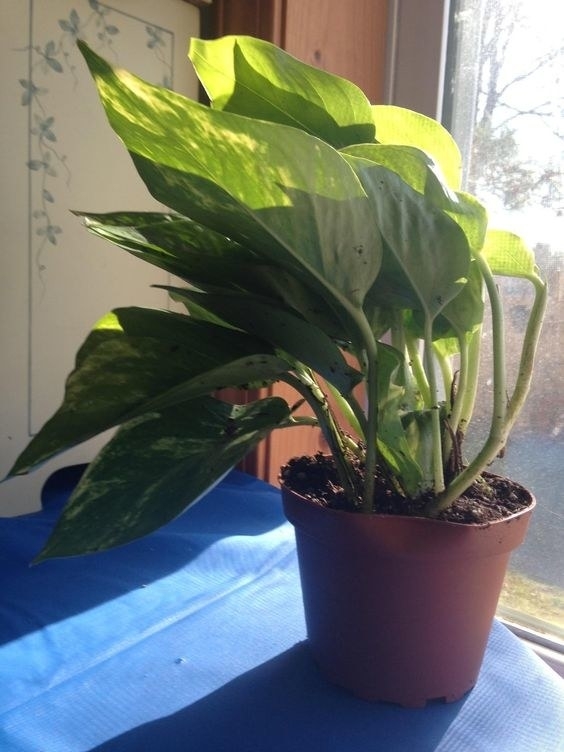 This is a Epipremnum (Scindapus) aureum (idk, science). It's known as one of the easiest houseplants to grow, so no panicking necessary! It comes in a 4" pot. Get it from Amazon for $2.59. 12. A personalized family portrait, because a family crest is so last century. But this will still feel like everyone is watching over you (in a totally non-creepy way). Promising review: "It looked so cute online, but you know, you worry about personalized things, especially art! Well, my sis-in-law LOVED it! She has one kid in college, with two close behind, so it was kind of a perfect gift for her: something for her to cherish as her nest empties." —Jen C.
Get it from Uncommon Goods for $75+. 13. A pair of helpful reminder socks that'll get you back on your feet if things start to feel ~overwhaleming~. Psst! Buy two pairs of socks, get 30% off !! 14. A self-care subscription box so you say "ahhh" instead of "AHHH" every time your mom won't pick up for the 1,000th time in one day. Rude. This subscription box is actually curated by therapists! There's always one "happiness-boosting" activity and five to seven hand-crafted, natural, organic, or artisan self-care goodies that are aimed to promote relaxation and wellbeing! 15. A set of 50 affirmation cards for an easy pick-me-up every time you realize you DO miss your weird brother's jokes. Who knew? Each card contains a funny and cheerful note to help make you feel better without seeming too preachy! For example, there is an alligator who reminds you the importance of smiling (they ARE experts in grinning, after all). Get a 50-pack from Amazon for $12.51. 16. A custom cookie cutter of your favorite person's face, because sometimes you just miss someone so much you want to...eat them? "I love you, now get in my belly." Just message the sender your picture and it'll be connected to your order automatically! They even include a special sugar cookie recipe! Get it from Boe Tech LLC on Etsy for $40. 17. A radiant MAC palette called "Risk Taker" so you're emboldened every morning and reminded why you moved to your new place. Queue Hillary Duff's "What Dreams Are Made Of." This comes in eight pressed-powder eyeshadow shades: satin shine, smooth pearl, foiled shadow and creamy matte finishes, plus a highlighter formula in opalescent. Get it from Nordstrom for $39.50 (retail value of $160). 18. A pack of personalized photo stickers that'll finally make it easy to face days without your dog — because now they're plastered onto just about everything. This set includes: one 3.5" sticker, two 1.75" stickers, six 0.75" stickers, and 12 0.5" stickers. Just upload your photo to the "customize now" option (and make sure the face fits inside the preview box). 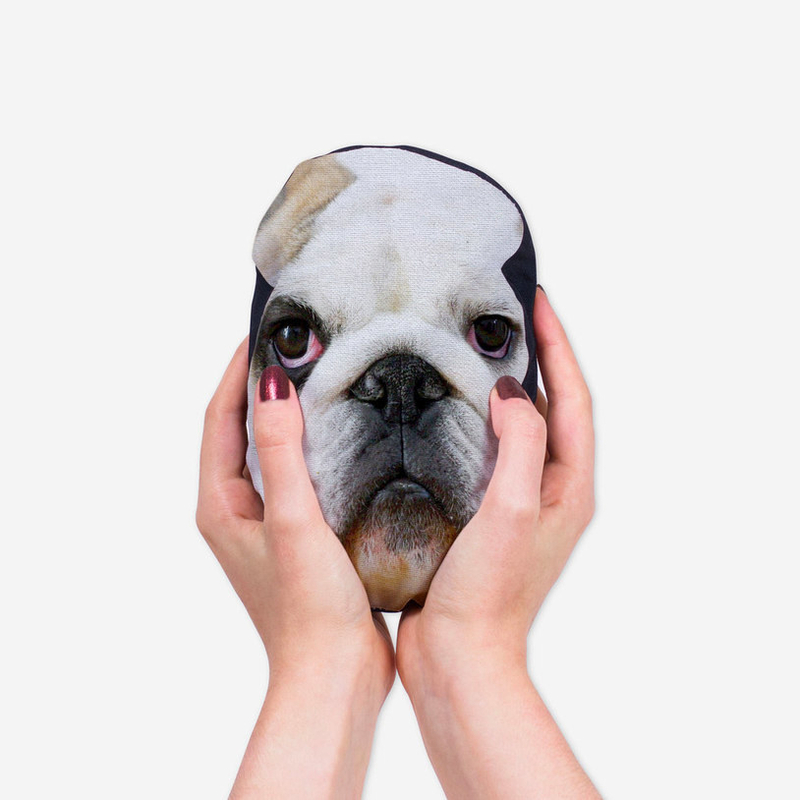 The team will trace the face, print, and ship them to you! ANDDD these pups are waterproof, microwave- and dishwasher-safe! 19. A personalized family recipes journal for recording all your favorite home-cooked dishes to recreate on your own. If you have to call your mom in a panic halfway through it's fine. "HOW DO I CHOP ONIONS?!" This book allows you to record the recipe, the source, and why it holds special meaning for your family! It includes recipe pages for appetizers, soups, salads, sandwiches; side dishes, main courses, desserts, beverages; and more. It even has measurement equivalents, substitution suggestions, kitchen tips, and a glossary of cooking terms! AND there's an inside back cover pocket for extra notes and other mementos. Get it from Amazon for $11.33. 20. A complete collection of Jane Austen novels, because is there anyone better to help you escape modern woes through the written word? I'm going to go with no. DON'T @ ME IN THE COMMENTS. The novels included in the collection: Sense and Sensibility, Pride and Prejudice, Mansfield Park, Emma, Northanger Abbey, Persuasion, and Lady Susan. Get it from Amazon for $25.78. 21. A long distance lamp that'll be in sync with its duplicate — when one is lit up, the other one is too! It's *almost* like telepathically communicating. Each person sets up their lamp via Wi-Fi so when they reache out and touch the lamp the other person knows they're thinking of them! Both cycle through a rainbow of colors. Get it from Uncommon Goods for $75+ (available as single or set of two). 22. A super-soft cowl-necked sweatshirt so you can't stay upset no matter hard you try. This is like wearing a portable hug. You're too busy being snuggled now to be sad, sorry. Get it from Free People for $78 (available in sizes XS-L and in three colors). 23. A set of personalized glass coasters with your choice of photos for enjoying your family's company while settling down for some wine. Bright side: no one can tell you not to drink the whole bottle. Just insert whichever photos you'd like! Get a four-pack from ModCloth for $19. 24. A set of personalized stationary, because now you actually *do* want to write home. Suddenly this just feels like the write thing to do. Plus, this paper is made up of 30% post consumer recycled content! Get a 20-pack from Paper Source for $35.80. 25. A series of beautifully crafted rings shaped in city's skylines that'll always make it seem like home is merely ~on the horizon~. Get them from Jewelry Architecture on Etsy for $83.70+ (available in 27 cities, three colors, and in sizes 6-9.5). 26. 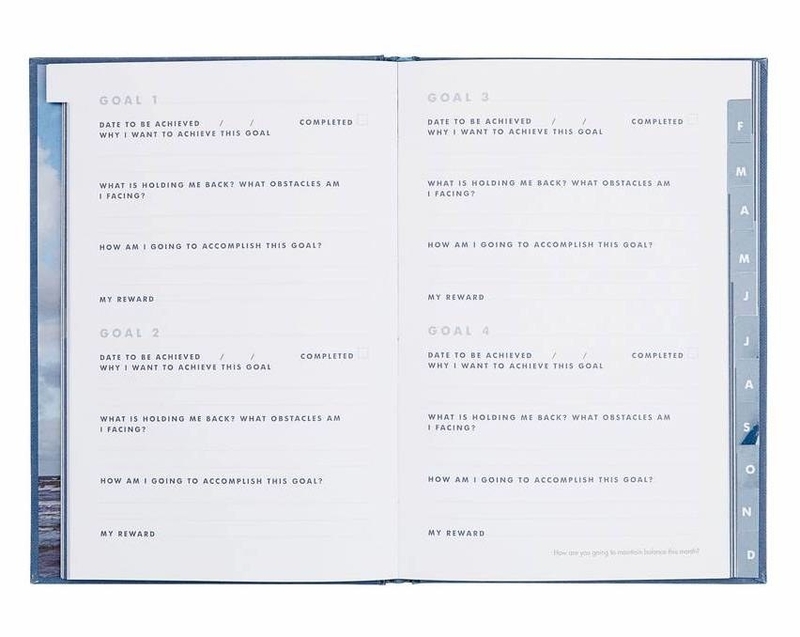 A self-therapy notepad so you can talk yourself through tough moments, like when you tried to recreate Nana's chocolate cake but now you have a plate of hot lava. Just talk to the pad. Get it from Amazon for $7.11. 27. A cocktail subscription box for more motivation to invite friends over and make new memories on your new turf. You'll have everyone at the word "mojito." There are two options: the Everything But The Booze Box, which has all of the ingredients to make four servings of a cocktail (but alcohol not included), or the Everything Box, which is the same thing but WITH the liquor. 28. An inspiring coloring book of gorgeous cities (some real, some imagined), because maybe you need a little reminder of why you got the travel bug to begin with. 29. 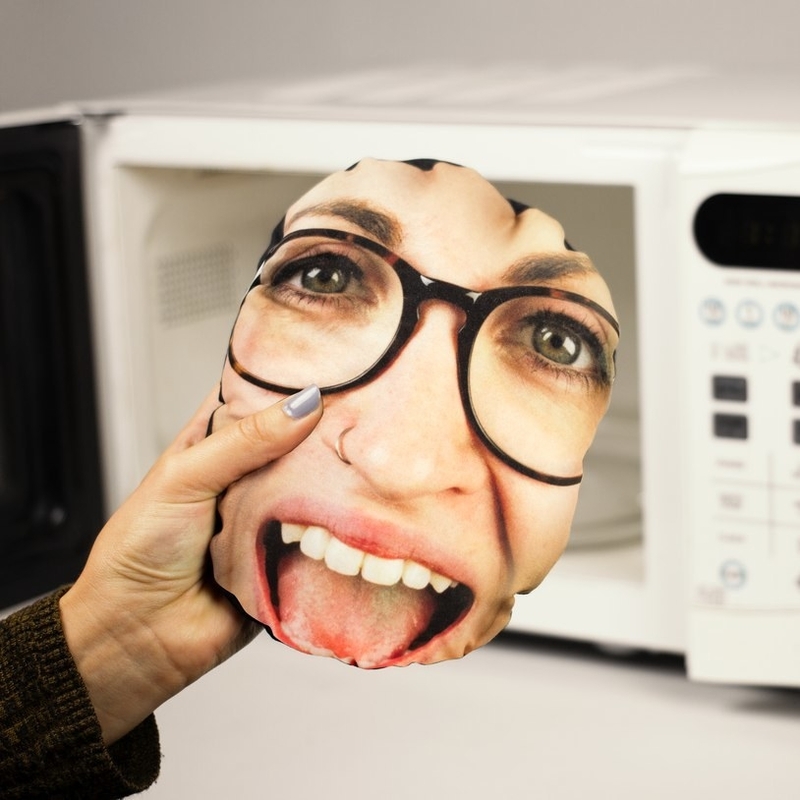 A personalized heatable holdable that'll basically be like an IRL hug after being microwaved. Maybe more like squeezing their face, but still VERY comforting. It's even lavender scented! Send them your photo and they'll do all the hard work. Get it from Firebox for $20.29. 30. An optimistic book of adorable illustrations (each with a tidbit of advice) so every day is ~magical~. Apparently unicorns don't have time to mope, so now neither will you. Get it from Amazon for $8.23. 31. A customizable heart map print for proving all roads lead to home — now it's hanging on your wall. If we're speaking *literally*, I suggest you fly or something. You can choose from their selection, or have one custom made! Get it from A Gier Design on Etsy for $12+.